The second great thing about Learning Theology with the Church Fathers (see original post) was the fact that it made me want to read more of the Fathers. I think this is what most good books about Patristics should do. 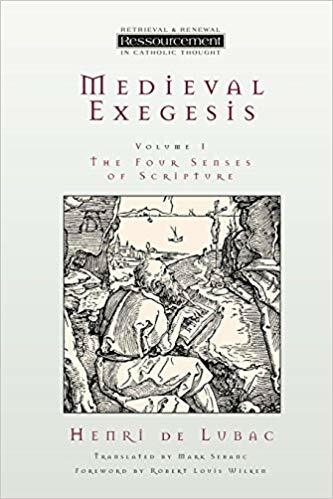 Just as a book about the Bible should point us back to the Bible, a book about Homer to Homer, or a book about Tolkien to The Lord of the Rings, so books about the Church Fathers should make us ache, thirst, long, cry out for more. This book does that. Chiefly, Learning Theology with the Church Fathers makes me want to read in full a number of the cited texts. Chief amongst these texts are St. Athanasius’ Orationes contra Arianos, St. Gregory of Nazianzus’ Theological Orations (on Sts. Athanasius and Gregory blowing my mind, read this), St. Augustine’s On the Trinity, St. Cyril of Alexandria’s On the Unity of Christ (I was destined to read this, anyway, given my interest in the Council of Chalcedon), St. Irenaeus’ Against Heresies, St. Cyprian’s On the Unity of the Church. Not enough of us read enough of the Fathers, so anything that explains their teaching and whets the appetite for more is worth reading, in my opinion. -The Fathers of the Church at the Christian Classics Ethereal Library, including the Ante-Nicene Fathers and both sets of Nicene and Post-Nicene Fathers. A very valuable resource. –Monachos.net — Orthodoxy through Patristic and monastic study. This website has many interesting resources from the Eastern perspective. –The Fathers of the Church at New Advent. Another collection of writings. -There is a Patristics Bog Carnival roaming around out there, usually at hyperekperissou; this past month it was at The Church of Jesus Christ. -It’s probably a good idea, if you’ve read this book, to wrestle through some of the works that feature prominently herein and which you found yourself drawn to. Thus, for me, I think I should especially read St. Gregory’s Theological Orations, St. Cyril’s On the Unity of Christ, and St. Cyprian’s On the Unity of the Church. -St. Athanasius, On the Incarnation of the Word of God. This book is short and readable. It presents some very compelling arguments for the incarnate Word (Jesus) being God, as well as giving the reasons why God chose to become a man. -St. Basil the Great, On the Holy Spirit. This is a wonderful book about the work and person of the Holy Spirit. St. Basil demonstrates that the Spirit is, indeed, God, using both Scripture and tradition, and then he discusses the Holy Spirit’s role in the Christian life. -Pope St. Leo the Great, Tome to Flavian. This short work sets forth the doctrine of two-natures Christology, which is the accepted orthodoxy of all Protestants, Roman Catholics, and Eastern Orthodox. -The Apostolic Fathers. These works are individually short. I have read First Clement, St. Ignatius’ Epistle to the Ephesians, and the First Epistle of Barnabas. They give us insight into the mind of the first generation of Christian thinkers after the Apostles, something to be valued greatly. -St. Athanasius, The Life of St. Antony. –The Sayings of the Desert Fathers. -Drobner, Hubertus. The Fathers of the Church: A Comprehensive Introduction. Hendrickson, 2007. This book is a “patrology.” As an entire book, it is not an introduction to reading the Fathers. However, it does provide concise introductions to most fathers and periods of early theological thought. -Oden, Thomas C. The Rebirth of Orthodoxy: Signs of New Life in Christianity. HarperOne, 2002. In this book, Oden presents his vision of postmodern Christianity that is rooted in the premodern world of the first five centuries of consensual Christian thought, something he calls “paleo-orthodoxy.” He believes that a rootedness in the Fathers will root us within the tradition and the Scriptures and reinvigorate the life of the Church. -Webber, Robert E. Ancient-Future Faith: Rethinking Evangelicalism for a Postmodern World. Baker Academic, 1999. This is the first volume of Webber’s “Ancient-Future” series. * Webber makes a similar basic argument as Oden about revitalising the Church for the future through the wisdom of the ancients, but his audience is evangelical whereas Oden’s is mainline. He begins the task of constructing a Christian worldview and life structured through the wisdom of the Fathers in response to the questions and new perspectives of the postmodern era. *The others are Ancient-Future Evangelism, Ancient-Future Worship, and Ancient-Future Time. Lots of people recommend Ancient-Future Worship; I’ve never read it, myself.